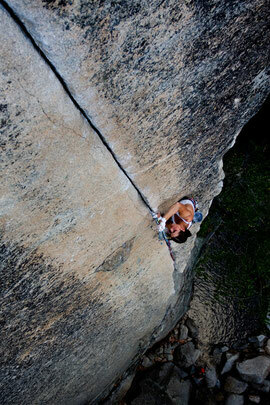 ﻿The first 5.12 in Yosemite Valley was a tiny finger crack called Fish Crack in the Cascade Falls area. It was first ascended by Henry Barber in 1975. 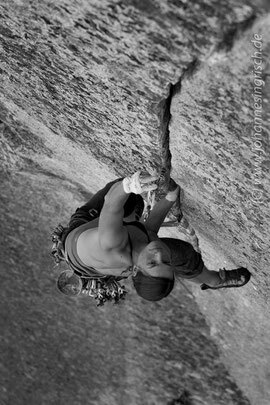 It took me tree attempts to free the 40m route with a balancy layback crux at the end!